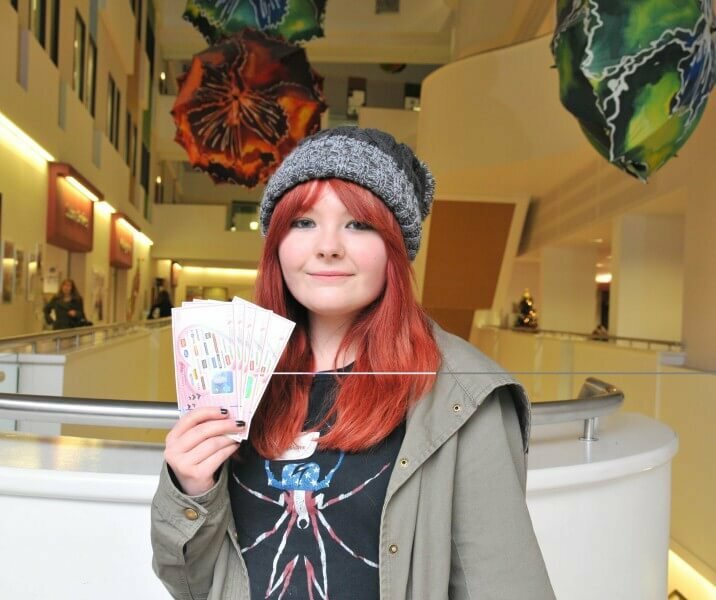 School pupil, Jess Owen, 15, from Hemsworth Arts and Community Academy has won £50 of high street vouchers after entering a ‘Selfie’ competition at a Barnsley College Open Evening. Visitors to the Open Evening were encouraged to take their photo in front of a Barnsley College back drop and upload it to Facebook or Twitter. The next Open Evening takes place on Thursday 15 January 2015 6.00pm – 8.00pm.